The Society has many shows affiliating to it each year enabling them, and their exhibitors, to have the benefits of AHS Rules for Showing and the choice of fully qualified judges. 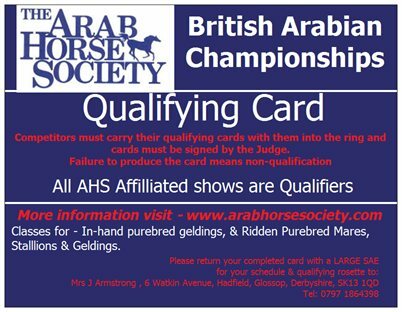 Some shows are also affiliated to the European Conference of Arab Horse Organisations, an organisation with many member countries and having its own set of Show Rules which can be found on the ECAHO website. 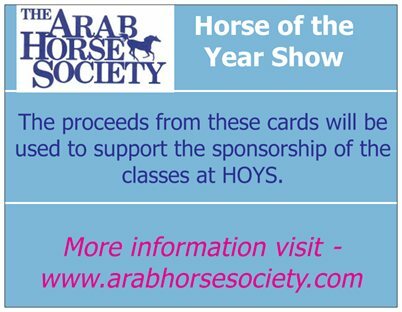 This Show is affiliated to the Arab Horse Society and to the European conference of Arab Horse Organisations. The rules of both organisations apply to Pure Bred In Hand classes but ECAHO Rules take precedence where there could be a clash or conflict. Other classes at the show are outside the jurisdiction of ECAHO and are governed by AHS Rules only. Foals that are not registered by the time of the show are covered by AHS Rules only. The ECAHO Disciplinary Committee is responsible for enforcing the ECAHO Rules and the Show Organiser is responsible for enforcing the AHS Rules.